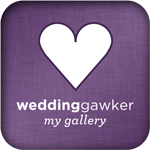 I have this “thing” where I feel like I need to make a little something for each and every baby/bridal shower I attend. It’s a compulsion of sorts and often I stress myself out coming up with the perfect little handmade treat to go with the gift purchased off the registry. With 4 people around me having babies and a few weddings thrown in you can see where I might have my hands full. However, the gift below was not only the easiest to construct and economical, it was also the easiest to come up with. You see my friend’s husband drives a race car in one of the local circuits. He already has big dreams of his sweet little girl being the next female racing star, so it just stood to reason that she would need the proper attire even at her young age to support her favorite race team! Granted here in the south there is a huge supply of NASCAR baby racing gear so I could have bought something commercially, but I thought she needed something a little more “sugar & spice” to mix with “my daddy rocks”. Remove all stickers and tags from onesie and press flat with iron. Cut out your race car shape. Trace template outline onto backside of fabric (I used a regular pen, however a fabric marking pen/pencil would be a better option). Using embroidery thread sew the numbers to the car. 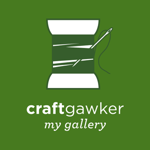 I used a straight embroidery stitch and stitched down the center of each number. You could also do this step with your sewing machine if you prefer. To help hold the car in place while you stitch place one small piece of Heat Tape down the center of the car and press onto the onesie. 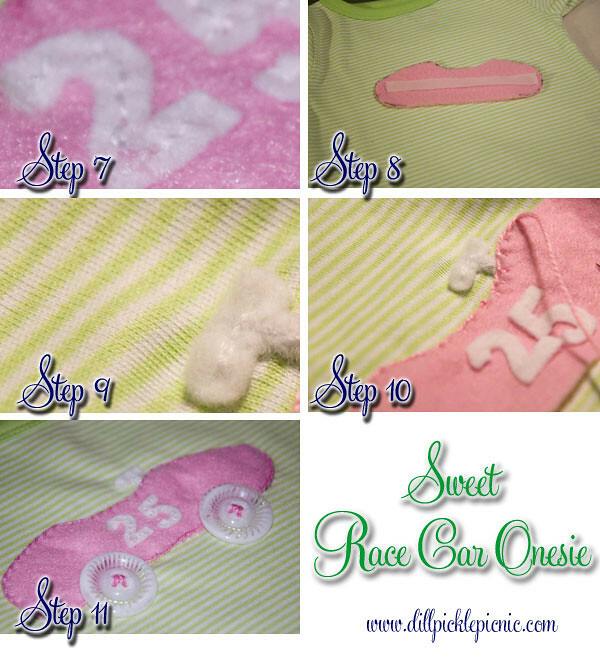 Now that the car is stead place the steering wheel under the edge of the car fabric and using the same method as in Step 7 sew it to the onesie. 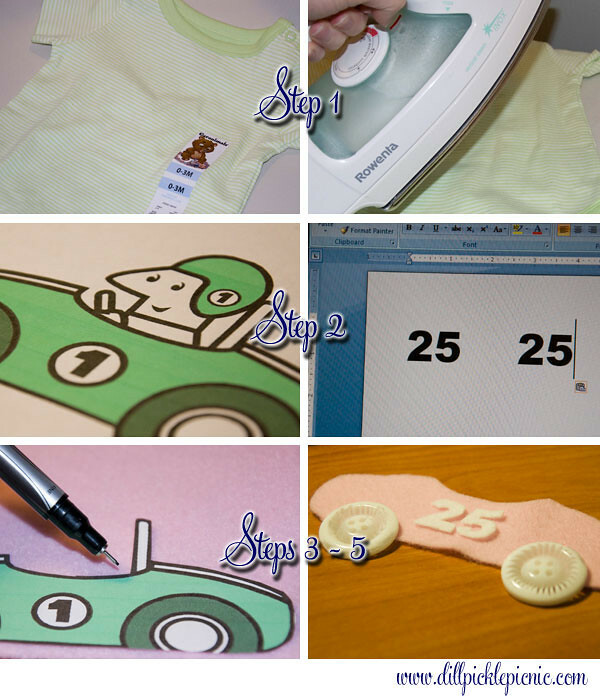 Switching embroidery thread to match the body of the car, use a blanket or edge stitch and sew along the car’s edge, attaching it to the onesie. 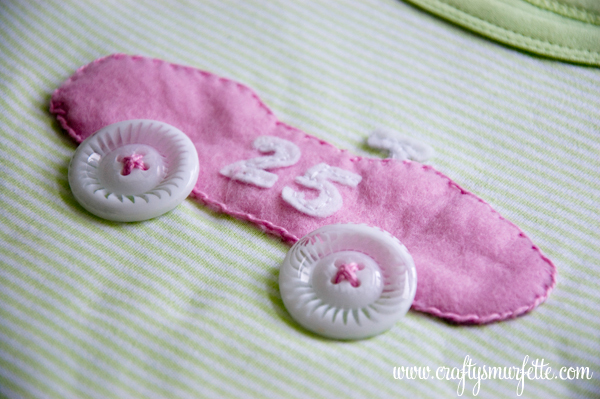 Attach your button wheels to the car also with embroidery thread, careful to tie off all knots/etc. 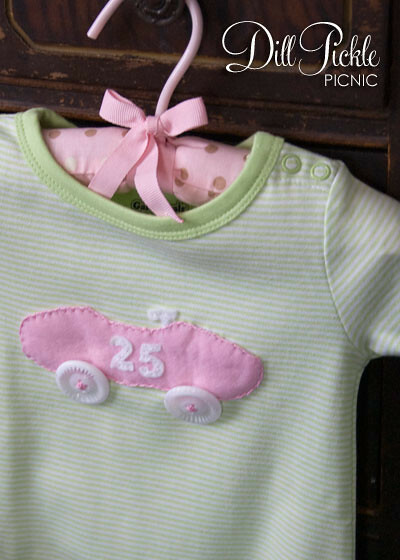 under the buttons or car to keep “itchy stitches” away from baby. Safety Note: Make sure all buttons are sewn on securely. Due to buttons, do not leave your baby unattended while wearing this garment.